For years, online sellers in America have had to deal with competing against Chinese merchants for local business in the U.S. Well, now the tables have turned. If you’re an online seller looking to expand your business overseas, you’ll want to consider selling to consumers in China. With its strong ecommerce market, high demand for foreign goods and spending power, the Far East is ripe with opportunity for online merchants. 1. It’s the world’s leading ecommerce market. 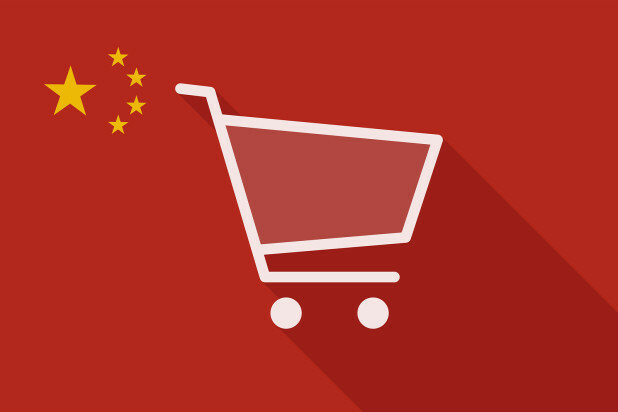 China is the current reigning champion of ecommerce after surpassing the U.S. in 2013. And China’s projected growth over the next five years will only widen the gap between the two countries. What’s more, China will exceed $1 trillion in retail ecommerce sales by 2018, accounting for more than 40 percent of the total worldwide. Have you ever heard of Singles’ Day? If not, you’d better start looking into it now. Singles’ Day, which comes around every November 11, is the largest online shopping day in China. Last year, online sales on Alibaba hit a staggering $9.3 billion. How does that compare to the biggest online shopping day in the U.S. — Cyber Monday? There’s no contest. Cyber Monday racked up only about $1.9 billion last year. That gives you an idea of just how big the Chinese ecommerce market really is. 2. Chinese consumers can’t get enough of American brands. What kinds of items do Chinese online shoppers most like to buy from U.S. retailers? The most popular items are luxury goods, fashion items, baby formula and beauty products, especially skin care lotions and cosmetics. 3. It’s got the spending power. The Boston Consulting Group predicts that by 2020, there will be 280 million affluent consumers in China with a disposable income of $20,000 to $1 million. And while the majority of Chinese online shoppers are 25-35 years old, the country is home to around 5 million online shoppers over the age of 50 who are in a stable position for spending. If you’re curious to know what other countries you should be targeting for global ecommerce expansion, check out our post on the Top 5 international ecommerce markets you should have on your radar. For more insight on selling overseas, check out our International Shipping page.